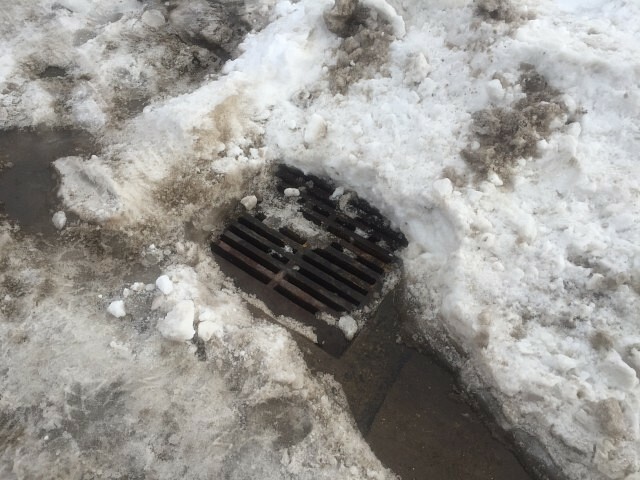 Residents who have catch basins in front of their properties are encouraged to ensure they are clear of snow to allow the water to drain. Residents are encouraged to call 311 if they see a basin not working properly. Motorists are also asked to be aware of large pools of water on roadways, both for safety reasons and to avoid splashing pedestrians on the sidewalks. Residents should also make sure drainage on their property is clear including downspouts, eaves troughs and yard drains to help protect against flooding. Rain is in the forecast for most of the day, and temperatures are expected to dip below freezing around midnight making conditions icy once again. Crews will continue salting roadways, but ice can still form quickly, and conditions can alter in unpredictable ways, so motorists are asked to use extra caution and leave plenty of room for safe and stops and starts where ice may be present.